The Bahujan Samaj Party said it has complained to the Election Commission. "NaMo" are widely-recognised Hindi initials of Prime Minister Narendra Modi, previously seen on BJP merchandise and recently as the name of a TV channel. The Noida Sector 20 police station had ordered 750 food packets from Namo Food Corner, which its manager said had opened 13 months back. Some of the packets were brought in the boot of a hatchback and distributed among police personnel in Noida's sector 15A around 9.30 am, while polling was on in the Gautam Buddh Nagar constituency under which the Delhi suburb falls. Union minister Mahesh Sharma is the Bharatiya Janata Party candidate seeking re-election there. 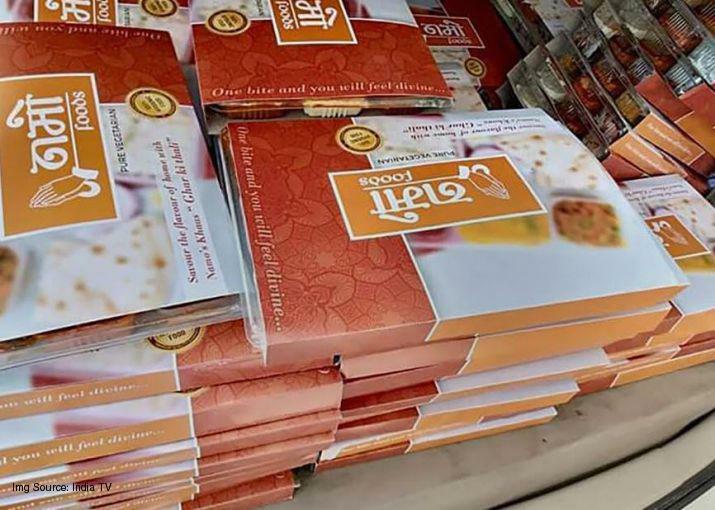 The packets, coloured in a shade of saffron and with "Namo" emblazoned on the top in Hindi and foods' in English, soon generated a buzz among curious onlookers. Namo Food Corner manager Sunil Anand said the outlet in sector 2 is part of Namo Food Pvt Ltd, which was registered in Pune in 2010. There are four other Namo Food Corner shops in Noida, he said. When contacted in Lucknow, Uttar Pradesh Chief Electoral Officer L Venkateshwarlu said he has already spoken with the district magistrate on the issue. It is nothing related to the prime minister as the name of the company itself is Namo," he told PTI. In a report to the Election Office in Lucknow, Gautam Buddh Nagar's deputy district election officer stated, “There is a food shop by the name of 'Namo Foods' in Sector 15A and it has been there for a long time. Food packets were supplied from this shop to local policemen who were on election duty on an order for them. The food was supplied in packets from the shop. It is just a coincidence that the shop's name was 'Namo'. News reports doing rounds about about the incident are irrelevant. The incident should not be taken note of." But the Samajwadi Party president Akhilesh Yadav blamed the BJP. "Voters are turning out in large numbers to vote for #MahaParivartan which perhaps explains this desperate move. Clearly, the only thing the BJP knows how to do is branding and marketing," he said, quoting a re-tweet. The SP's alliance partner Bahujan Samaj Party said it has contacted the EC. "We have already taken it up both at the state level and with the Election Commission," its national general secretary S C Misra said. Election rules ban paraphernalia related to parties or candidates within 200 metres of polling booths. Misra also forwarded photographs of the food packets through social media to substantiate his claim. A Noida police spokesperson said ordering food packet ahead of important days is a normal practice, done locally at the police station level. Earlier, Guatam Buddh Nagar's senior superintendent of police Vaibhav Krishna issued a statement, saying the packets had nothing to do with any political party. Misinformation is being spread that some policemen have been distributed food from a political party, he said. This is absolutely wrong. At the local level, some food packets were procured from Namo Food Shop and not from any political party," he said. "Some people are spreading wrong and politically motivated rumours. There is no official order to procure food from any particular food outlet, he said.